Miss B is currently in foal to Unforgettable Image for her 2018 foal. Pippa is extremely pretty and correct; should mature to approximately 31” and she’s at least 75% Shetland bloodlines. 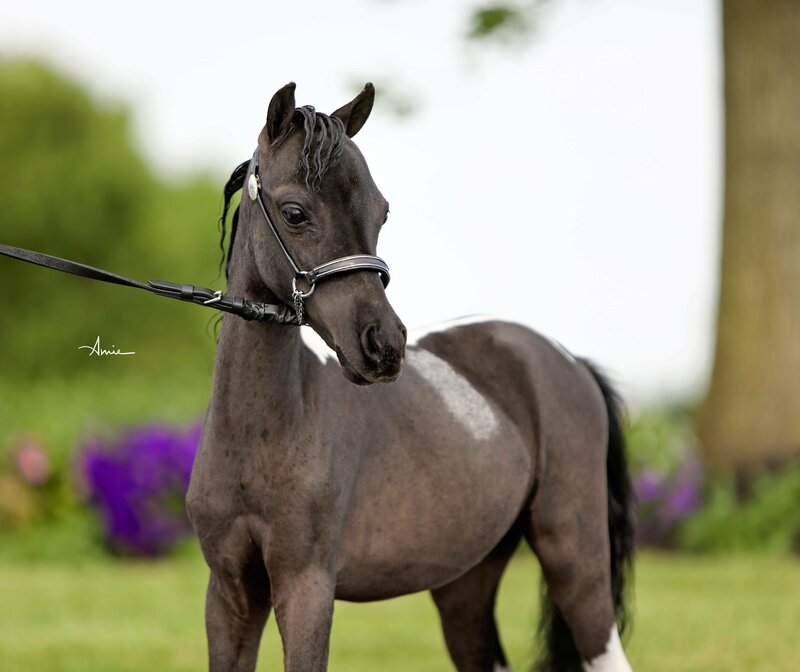 This little filly will be competitive in the small height classes every year and has the movement to be a fantastic, smaller driving horse as well. Check her out! Congratulations to Daniana Sullivan and family on your purchase of this gorgeous mare. Izzy is in the breeding field with Hunterberry Hill Surreal Impression for her 2019 foal. Joanna is confirmed in foal to our stallion Unforgettable Image – the last time we crossed her with this stallion, the resulting colt became and 2 time World Champion! 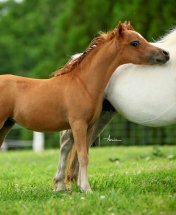 Easy mare to keep and a great little broodmare. 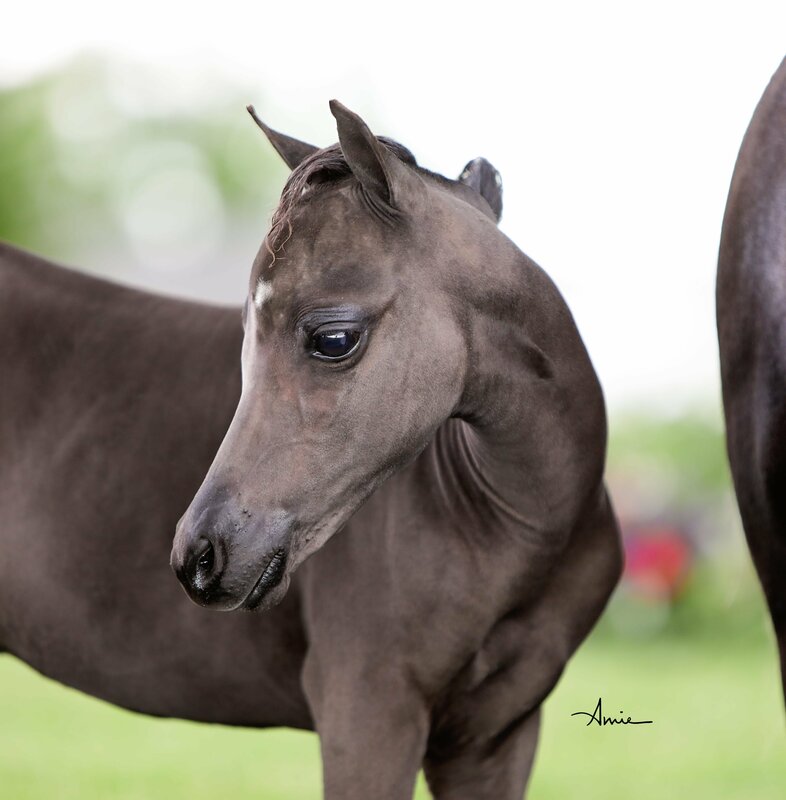 *Dianna’s Poker Chip foal in 2017 was a gorgeous gray pinto colt – Hopkins PC Pequeno. She is bred back the same way for 2018! 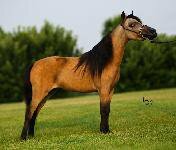 Priced to sell at $3,000 as a consistent, healthy, bred mare. 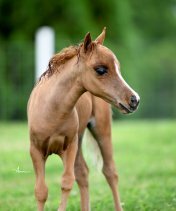 *Her 2017 filly out of Poker Chip is a beautiful, showy, tall chestnut pinto and Diva is bred back to Poker Chip for a 2018 foal. 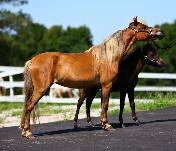 Diva is a good broodmare that delivers easily and settles and breeds back quickly. She has only produced fillies in her entire breeding career. She is very reasonably priced at $3,000. 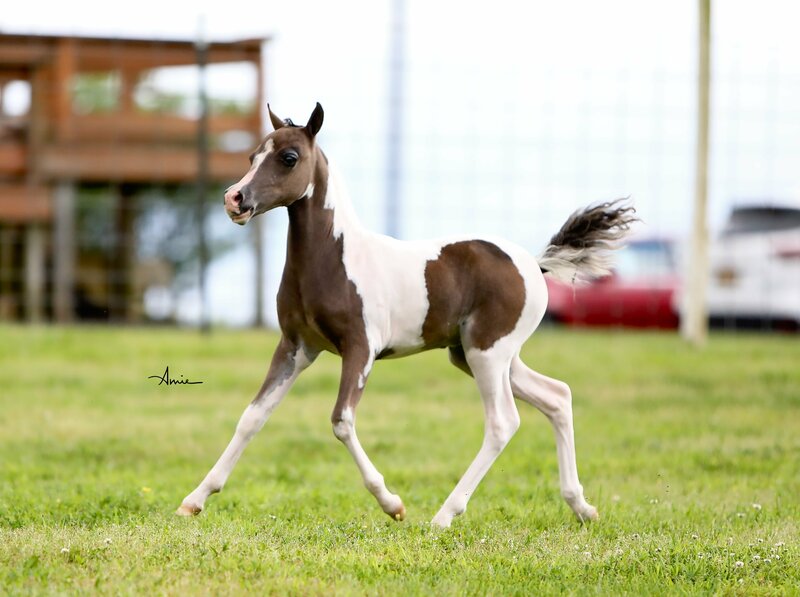 Penny produced a beautiful pinto colt in 2018 and is back in the breeding field with the same stallion, Ravenwood Poker Chip for her 2019 foal. 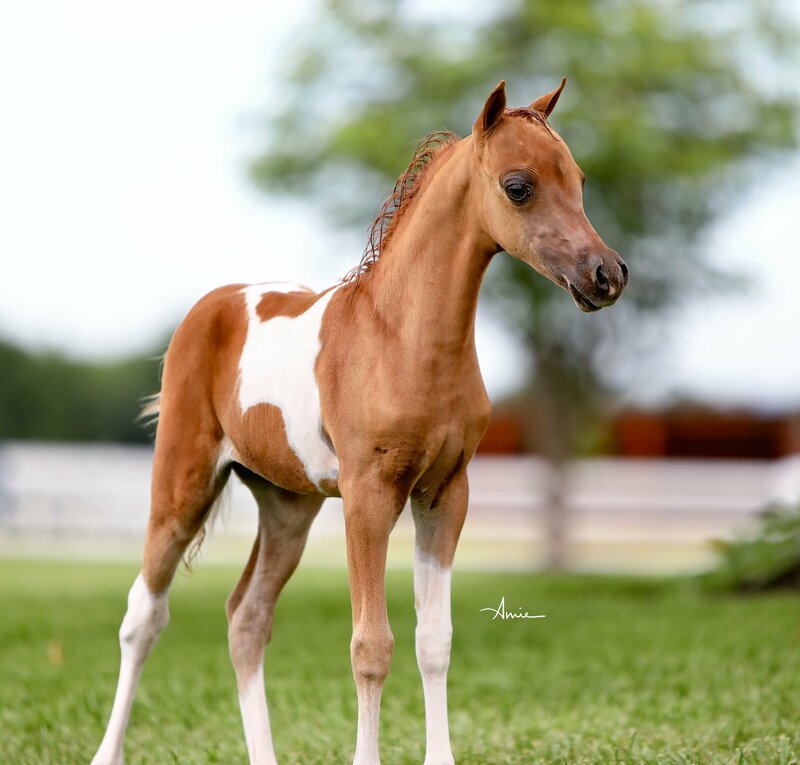 Sunshine had a very pretty chestnut pinto colt out of Poker Chip in 2017 and is currently bred to Unforgettable Image for her early 2018 foal. Moment is a beautiful boy and an easy keeper in the field. Could easily go back into the show ring. 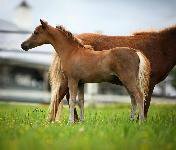 Safe with mares and nursing foals. 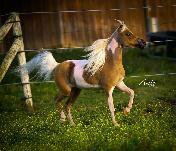 We are reducing our numbers and making this gorgeous, world champion stallion available. He measures exactly 32.0″ and is broke to drive and jump. 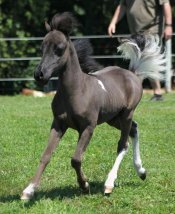 His foals are short-backed with gorgeous heads. 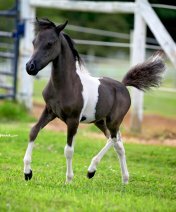 He tends to reduce height for tall mares, so if you are wanting to produce the smaller miniatures for the show ring, Moment will get it done for you. 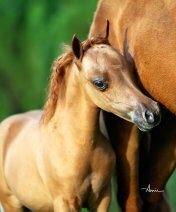 Joanna has out-produced herself with every foal including several World Champions. 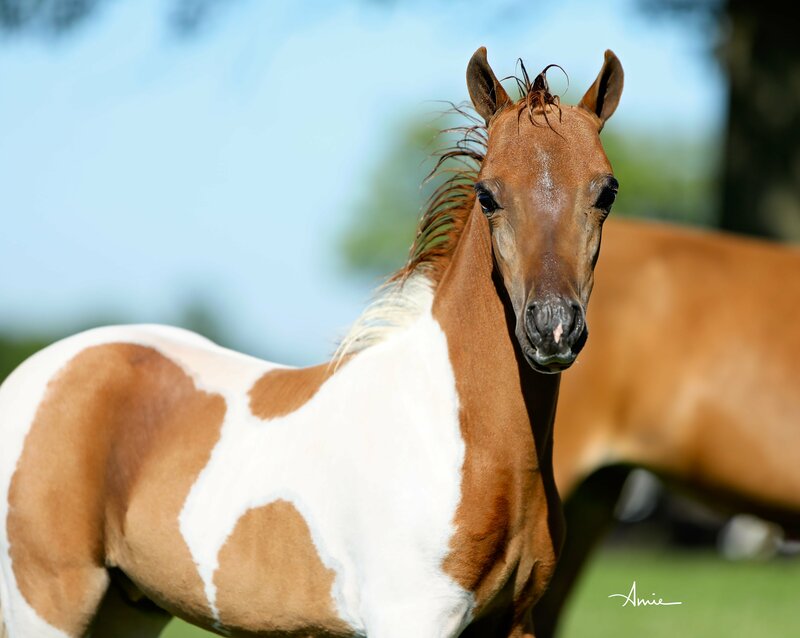 She is currently in foal to our stallion Unforgettable Image for a 2018 foal. Purchase her confirmed in foal to 12-time World and National Champion stallion (in both halter and driving) for $2,000. Passion is incredible – she will stay smaller like her mama at an estimated 31”. Her color is striking and we have no doubt she will command attention in the show ring. She has a big personality like her mama as well. We love this cross so much, we are repeating it for 2018! 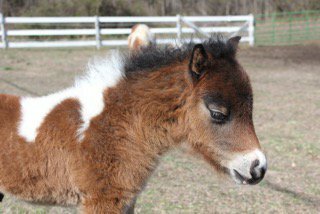 Paris is a beautiful blend of miniature and shetland bloodlines. She will mature approximately 34”. She is balanced, correct and should make an outstanding show prospect. CONGRATULATIONS TO THE ROSAUERS! Can’t wait to see this boy grow in your talented hands. Super excited for his future at Stars!!! 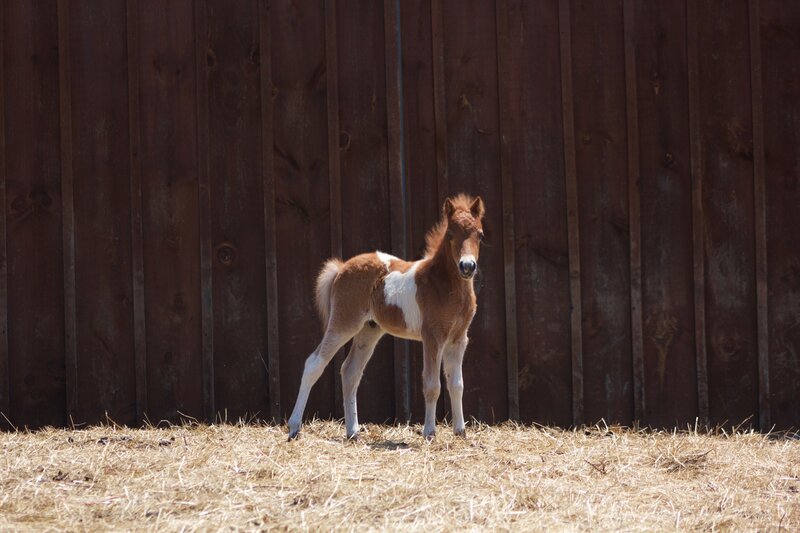 Peppermint is a standout filly and we are very excited for her future in the show ring. She is correct & refined with a great headset and length of neck and her soft, expressive eye will get attention for sure. Pepper is gorgeous and has a wonderful show attitude. She was shown by Youth at the 2017 AMHA World Show and took Reserve World Champion as a young weanling!! 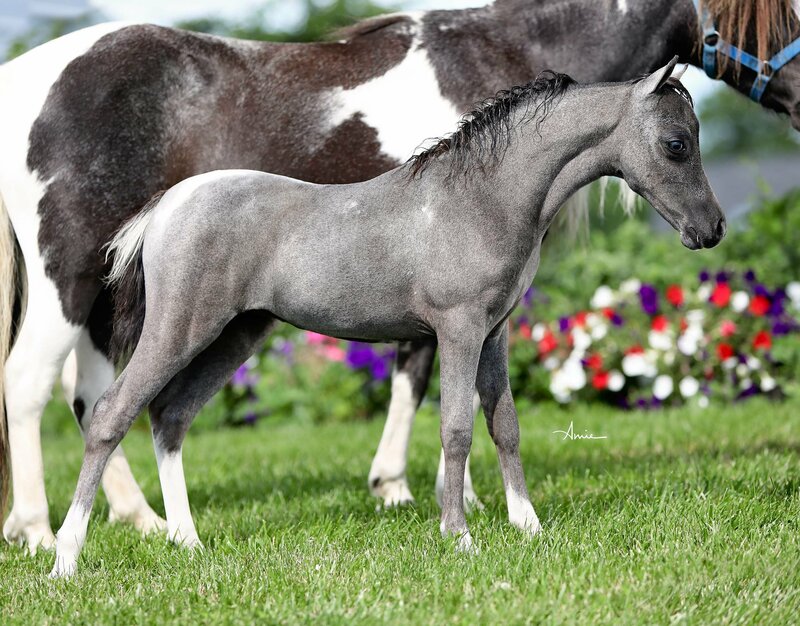 Her black-based color with one copy of the gray gene expresses as a Blue Roan look, but she may get lighter with age. 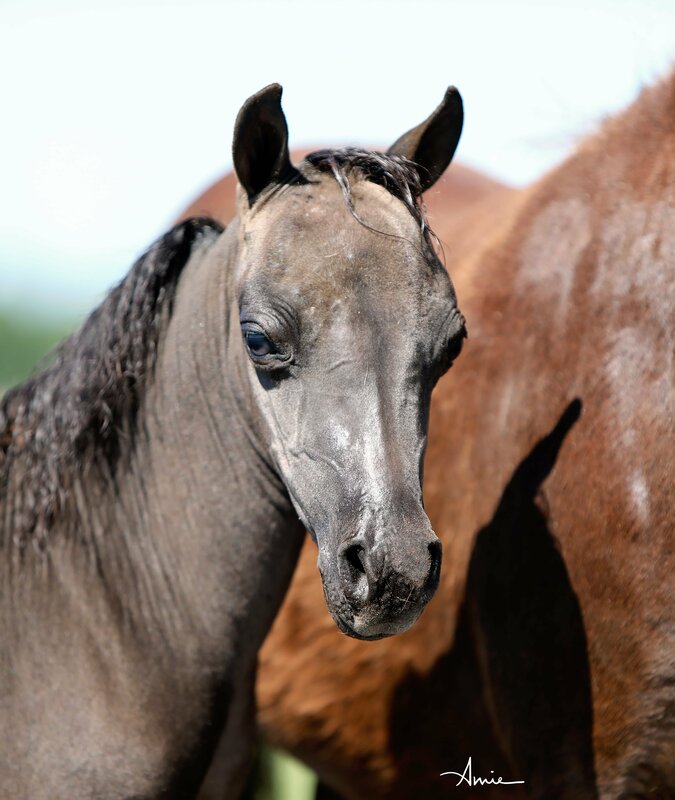 Either way this gorgeous mare will be eye-catching in the show ring. Moment is a proven stallion and broke to drive. Stays fit and beautiful in the field. Breed with him and pull him straight from the field to go and show – that’s how versatile and talented this boy is. We have too many breeding stallions and are reducing our numbers this year – our loss is your gain!!! 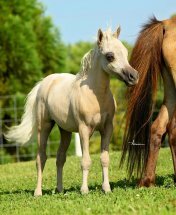 Paisley is beautiful and elegant with floating movement, tiny ears on a dishy head and will mature approximately 33.5”. 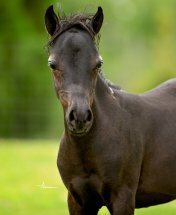 An amazing show prospect in both halter and driving – this young mare has an incredible future ahead of her. Sire is multiple World Champion and World Grand Champion driving stallion and dam was successfully shown in both halter and driving as well. 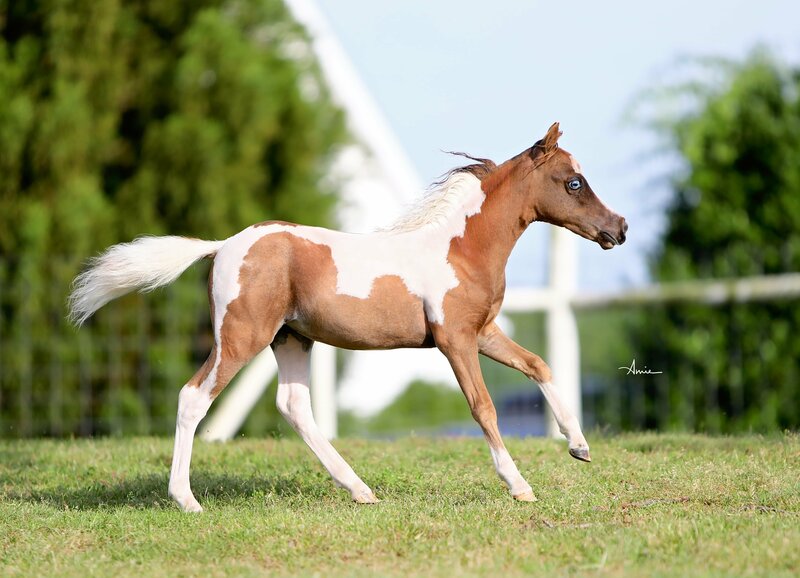 “Phoenix” is tall, refined, showy, upright – incredible colt! 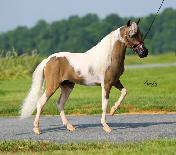 Show prospect extraordinaire – Phoenix will mature close to 34” and be super-competitive in the show ring. 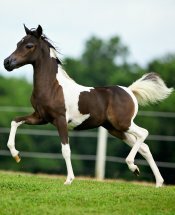 If you are looking for your next show stallion or gelding, check out this gorgeous boy!! 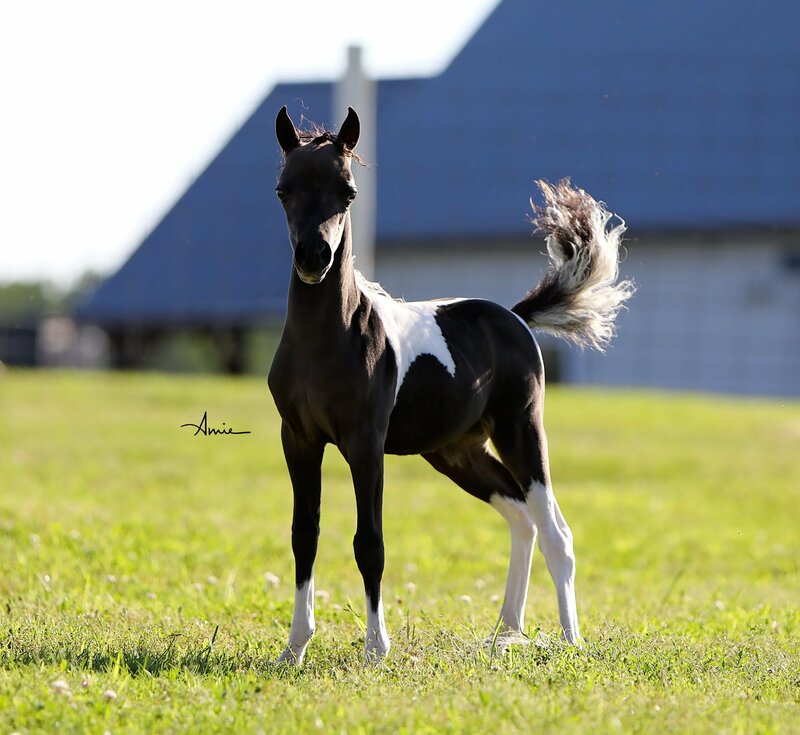 WOW – this little filly is beautiful, correct and spunky! Will mature approximately 33.5 inches and this perfect little head, huge eye and tippy ears will surely get attention in the show ring! Passion is incredible – she will stay smaller like her mama at an estimated 31-32”. Her color is striking and we have no doubt she will command attention in the show ring. She has a big personality like her mama as well. We love this cross so much, we are repeating it for 2018! 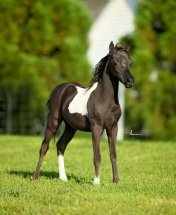 Congrats to Mike & Alilson Rosauer – can’t wait to see this beautiful boy in the showring!! 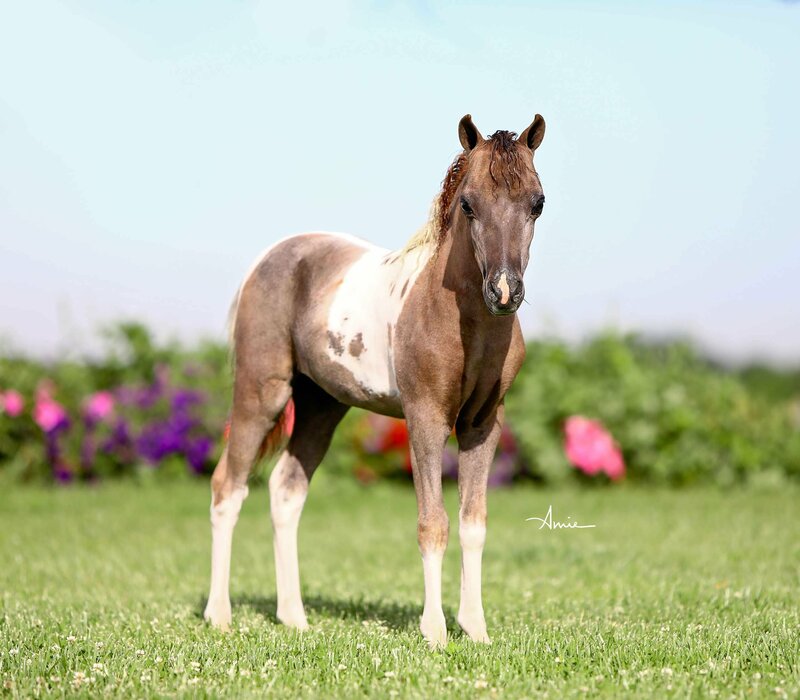 Penelope is definitely a show prospect – she will mature approximately 33.5” and is refined and feminine and beautiful. Can’t wait to see her grow and develop!